The U.K. artist is back with his fourth album Dark Days + Canapés. 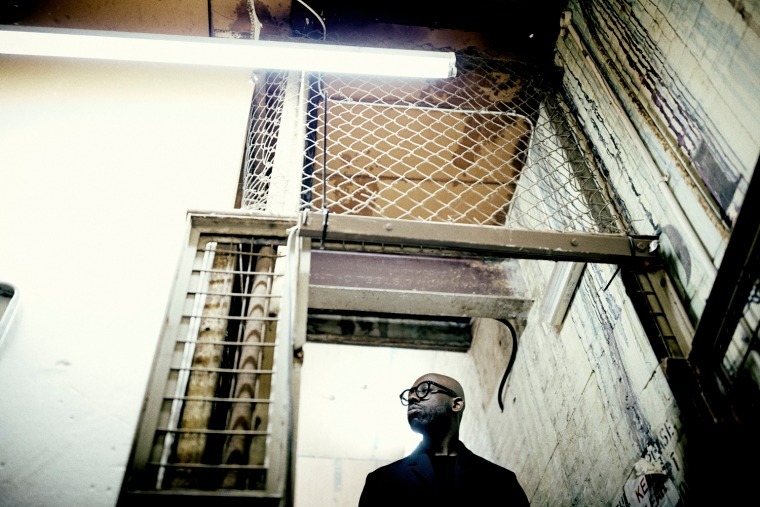 U.K. artist Ghostpoet (real name Obaro Ejimiwe) has two Mercury Prize-nominated albums under his belt. His 2011 debut Peanut Butter Blues & Melancholy Jam introduced him as a spoken word poet with sparse beats, waxing lyrical on the dark side of city living. Meanwhile, in 2015, the follow-up Shedding Skin moved into post-punk territory. On his latest —Dark Days + Canapés, out August 18 on Play It Again Sam — Ejimiwe explores even richer, live instrumentation. On "Dopamine if I Do," premiering below, strings swell underneath his husky, bluesy vocal, as he grapples with the isolation of modern life. He explained in an email to The FADER: "I wrote this one for the struggling minds, trying to make sense of an ever-increasingly technologically connected, but lonesome world." Listen below.